NOKA Roast & Grill's locally inspired open-concept grill brings the excitement of our chef-craft and tantalising aromas to your dining experience. Set in our bright and vibrant culinary theatre, meals at NOKA Roast & Grill are unforgettable. Each a la carte main course is prepared a la minute with the very freshest local ingredients and companion sauces with careful attention to detail. For an even grander experience, try full a la carte and partake of our enormous spread of gourmet appetisers, savoury side-dishes, salads and desserts showcase while taking in the breathtaking views at NOKA Roast & Grill. Choose from a selection of exquisitely prepared main dishes, each with its dedicated sauce and savory ingredients, and feast on our appetizer and salad bar showcase. 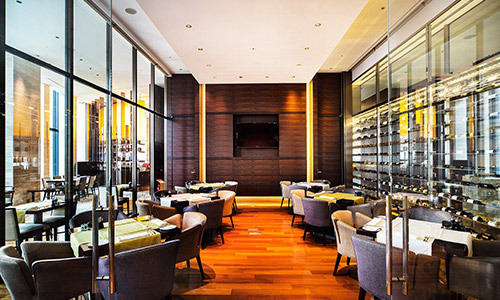 Enjoy the open-grill concept unique to InterContinental Osaka while dining amidst the breathtaking views. Our unparalleled Champagne Brunch is an exclusive midday treat each weekend. This brunch features our supreme house champagne, Louis Roederer, in free-flowing service. And our incredible all-you-can-eat appetizer and dessert buffet showcasing seasonal mouthwatering dishes to inspire. Our main dish selection is cooked a la minute, in a vibrant open kitchen, and can be reordered repeatedly as desired. Come experience our extraordinary Champagne Brunch at NOKA. 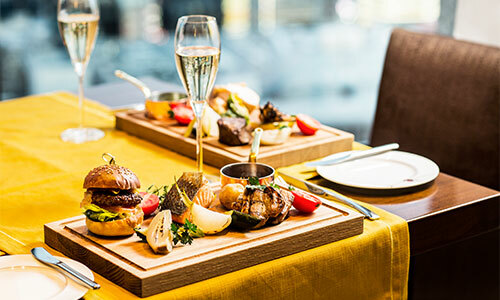 Choose from a wide selection of exquisite main dishes, such as shrimp, duck, veal or tenderloin, each with companion sauce and fresh ingredients, or go deluxe with Lobster and Foie Gras. 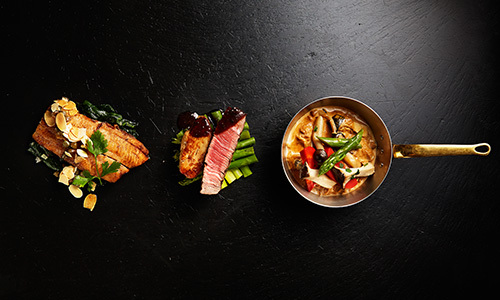 Enjoy the accompanying appetiser and dessert showcase, a symphony of tantalising selections. Savour fine wines and relish the spectacular night view. Our gorgeous Sweets Buffet is a feast for the eyes and palate. It features elegant culinary creations including fruit pastries, cakes, and tarts delicately prepared by our dedicated team of chefs. NOKA Roast & Grill offers a glassed-in private room for that special occasion, company meeting, or family celebration. This exclusive haven is bright and vibrant and affords breathtaking views of Osaka in a quiet stylish setting. Breakfast Buffet 6:30 a.m.- 10:30 a.m. Lunch 11:30 a.m. - 2:30 p.m.
Dinner 6:00 p.m. - 9:30 p.m. The menus or prices may be changed without advance notice.